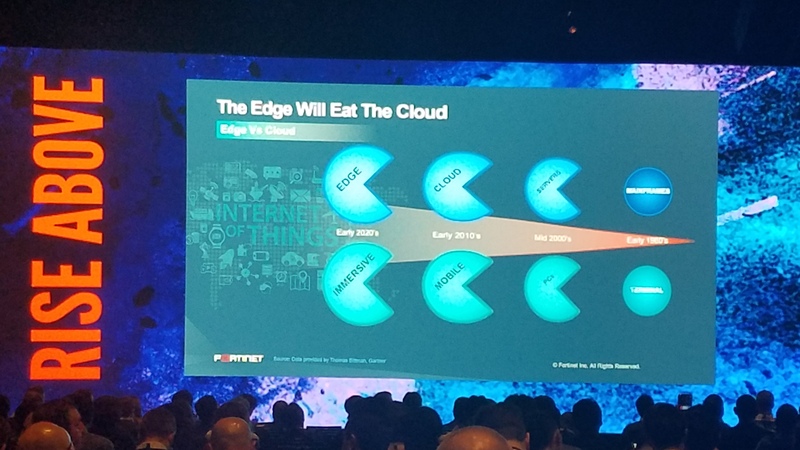 An Interesting keynote this week from Fortinet’s CEO, Ken Xie sharing that we’re entering the fourth stage of network evolution, requiring greater intelligence closer to the edge. Xie predicts that the next round of major innovations will be at the edge. We agree. Fortinet is a major player in the network infrastructure and security space with $1.8B in revenue and over 6,000 employees worldwide. This last week the company hosted Accelerate 2019, their annual partner and customer event in Orlando where the company shared their successes, vision and training opportunities with their end-customers and channel partners. With a huge footprint in the telecommunications industry, and as a new partner with TelcoBridges, it made sense to take the opportunity to head down to Orlando and learn all we could. 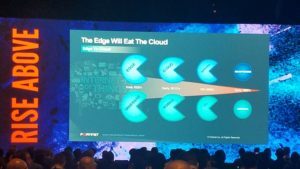 As part of the opening keynote series, Ken Xie, CEO and founder of Fortinet shared some visionary slides, explaining the general strategy that the company is following to enhance network security while dealing with ever-increasing data transfer rates. A key tenant of Xie’s vision was represented in a graphic that shows the history of information and the evolution from centralized mainframes of the 1900’s, through the era of servers of the mid-2000’s, to the cloud era of today, followed by the vision of the 2020’s. This aligns with the move from terminals, to PCs, to mobile and into the immersive era we are entering now. He explains that “The Edge will Eat the Cloud” as ever-increasing data bandwidth requirements and increasingly sophisticated algorithms will require additional computation resources much closer to the point of entry into the network. This was supported at the event by the announcement of a new Fortinet SD-WAN ASIC (Application Specific Integrated Circuit) that could deliver higher packet analytics performance in CPE devices on the edge of the network. The company also announce the new Fortinet 100F Next -Generation Firewall CPE device powered by the new ASIC. The origins of the partnership between TelcoBridges and Fortinet come from the deployment of virtual network functions (VNFs) that service providers use to deliver services to their end customers. 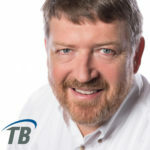 TelcoBridges’ FreeSBC VNF has found it’s way into a number of projects where the Fortinet SD-WAN and firewall software resides alongside FreeSBC. 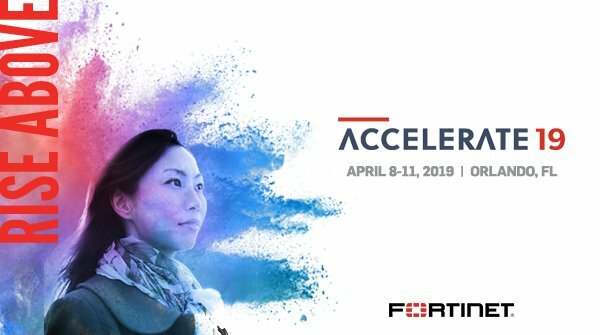 Fortinet’s strategy is in alignment with our vision at TelcoBridges, where we see universal customer premise equipment (uCPE) being delivered to the market with increasingly capable processors and memory capacities that allow moving network functions closer to the edge of the service provider network. This need is fueled by increasing penetration of SIP Trunking and the need to protect the core of networks from both attack and mis-use by end-customers. However, meeting this need also requires a new business model. Unlike delivering network functions in the core of the network, delivering SBC functionality at the edge of a network depends on a new software subscription-based business model – a model that significantly reduces the operating cost per session. This is the beauty of the marriage of the FreeSBC PRO-edition and uCPE. By reducing the cost of each session, the customer can then afford to move the function to the edge of the network.